The status of Eric Leach was verified on 04/19/2019. The Designated REALTOR® is classified as a sole proprietor, partner, corporate officer, trustee or branch manager acting on behalf of the firm's principal(s). 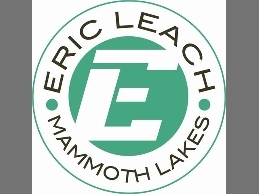 Eric Leach is a California Real Estate Broker with extensive knowledge and experience in the Mammoth Lakes real estate market. He has dedicated himself to being a true professional and sincerely enjoys his job of assisting buyers and sellers reach their dreams and goals. His specialty is the area of Mammoth Lakes, CA and the surrounding towns and cities of the Eastern Sierra Nevada which are primarily Inyo and Mono Counties. Eric is an outdoor enthusiast and can give you unparalleled insight to both the town of Mammoth and the activities that surround the area.